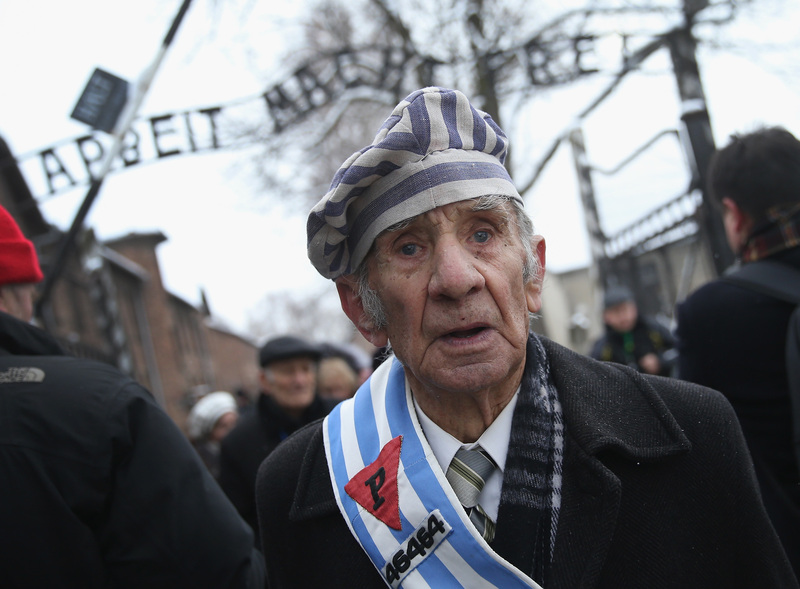 A member of an association of Auschwitz concentration camp survivors walks through the infamous entrance gate in Oswiecim, Poland after laying wreaths with other members at the execution wall on January 27, 2015. International heads of state, dignitaries, and over 300 Auschwitz survivors are attending the commemorations for the 70th anniversary of the liberation of Auschwitz by Soviet troops on 27th January, 1945. Auschwitz was among the most notorious of the concentration camps run by the Nazis during WWII, and whilst it is impossible to put an exact figure on the death toll, about a million people lost their lives in the camp, the majority of whom were Jewish. By Sean Gallup/Getty Images. Next Next post: Will Marriage Equality Remain A Wedge Issue?